The Browns now have their GM in place, and now just need a coach, something they are already heavy in the process of doing. The latest name on the list for the Browns is that of Panthers defensive coordinator Sean McDermott, who has help lead the team to the NFC’s number one seed with a 15-1 record. Ian Rapoport of the NFL Network states that McDermott will interview with the Browns on Thursday. The Browns have already gone to the Panthers well once, only a few seasons back when they hired Rob Chudzinski, who lasted just one season with the team before being fired. McDermott was with Philadelphia from 1999 to 2010 starting as a scout and ending as a secondary coach/defensive coordinator. 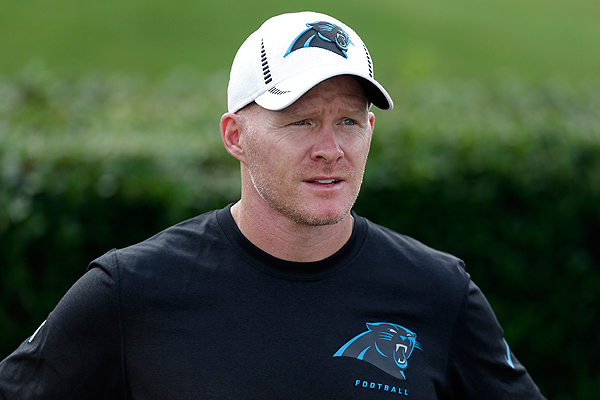 He’s been with the Panthers since then as their defensive coordinator.